Working in the corporate world may have required you to go on certain business trips as a representative of the company using your personal car. If so, your gas consumption may have mostly been for traveling you needed done for the company, and that must surely be something you want a refund for. 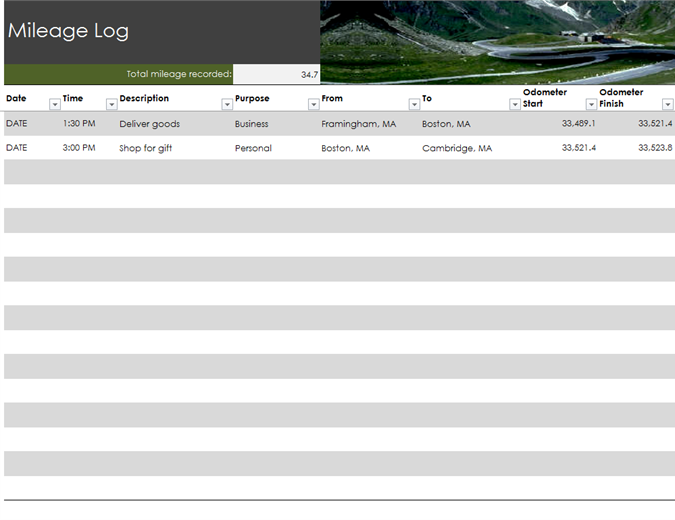 You may also see activity log examples. 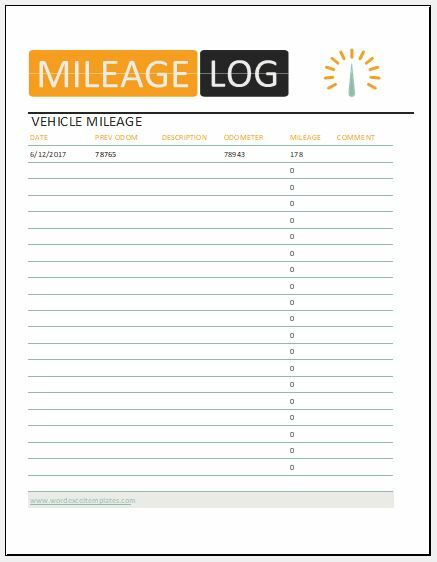 A mileage log refers to the document you use to keep track of the miles you have driven. This document can be used to file for at least a tax deduction or even a reimbursement. Which means that every mile you have driven to meet clients or run errands for the company will be given back to you in cash which will either be deducted from your taxes or reimbursed after your general application. 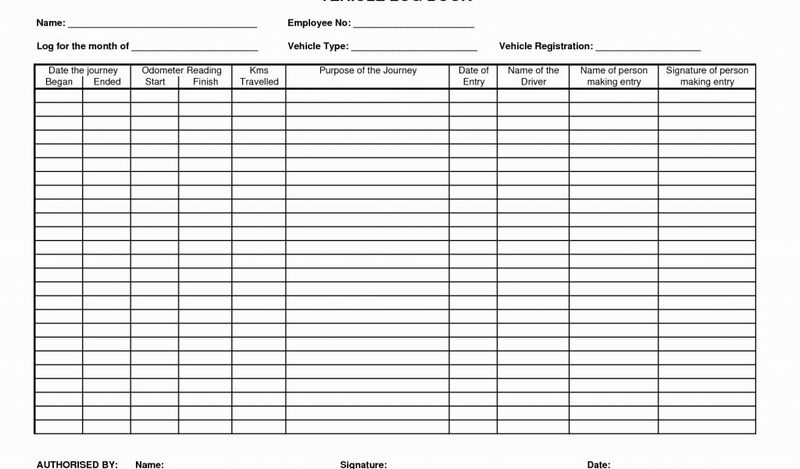 Mileage logs work miracles especially for self-employed businessmen. Before getting to know the complex business that involves mileage logs, let us first get to know who is behind this. The IRS or the International Revenue Service (for USA and HMRC for UK) is a government agency that is responsible for the collection of taxes and enforcing tax laws. A little historical background, this organization was established by the late President Abraham Lincoln. The IRS functions under the governance of the country’s Department of Treasury and is also fondly called “the tax man.” Also, the IRS’s headquarters is in Washington, DC, in case you want to give it a visit. You may also see weekly workout log examples. Thanks to technology, the IRS now gives the masses the option of filing income returns online. In fact, during the fiscal year 2016, 92% of all income return applicants applied electronically. Also, during that period, the IRS collected more than $3.3 trillion in revenue and gave out $426 billion in tax reimbursement. 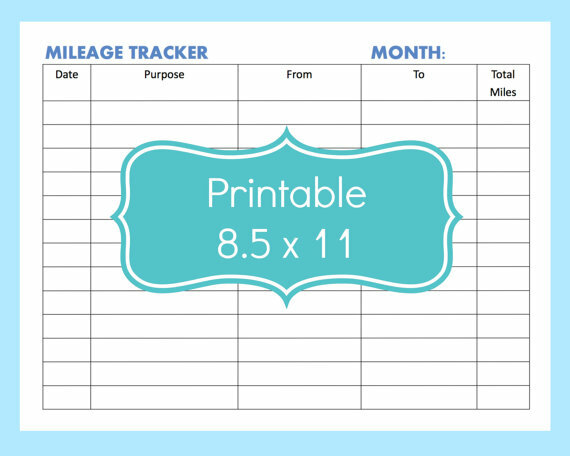 You could have a share of that amount this year if you take care of your mileage log. But how do you do that? You may also like food log examples in pdf. What Are the IRS Requirements for Tax Refund? Unfortunately, no matter how clean your record is or how trustworthy you claim you are, the IRS will not trust your word for it. You are also not allowed to simply estimate your mileage, or to go back and create your records while you are already facing audit. 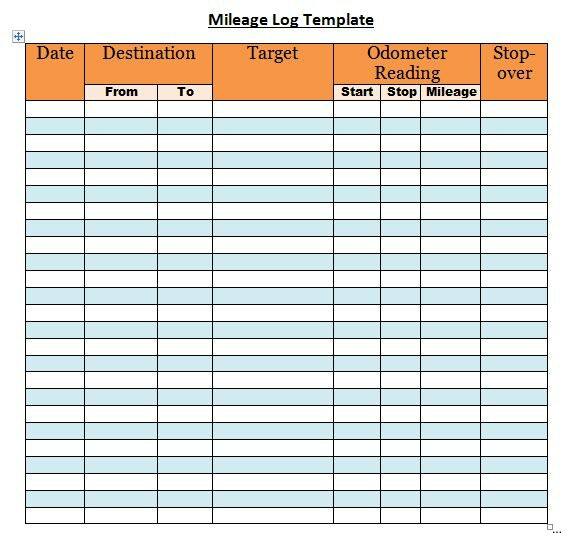 The only correct way of doing this is to list down your mileage after every mile is traveled, which means that you will be keeping track of your miles at least every day. You may also see reading log for kids examples. Without all of these details in your mileage log, the IRS will refuse to give a tax reimbursement. It also won’t count if the starting point of your travel is your home, even if you are on your way to meet a client or on your way to the office. You may also like printable workout log examples. 1. Buying errands or supplies. Even if you were simply sent to a printing press to have a few documents processed, it will still be considered a business drive. Even going to the post office is refundable. For self-employed businessmen or those with startup businesses, these little trips are very important because although they may seem inconsequential now, they could add up to a considerable amount at the end of the year. You may also check out workout log examples. going out of town for fishing or camping. 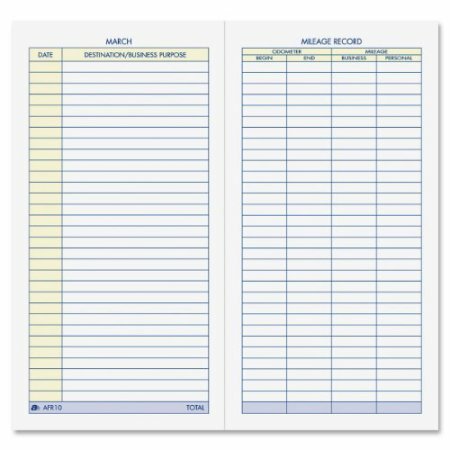 Mostly, the mileage logs of businessmen only contain dining out since it is the most common form of entertainment they can offer their clients without having to spend too much of their personal time. You might be interested in blood pressure log examples. professional advisers or legal team. For business entertainment-related expenses to be refunded, you must be able to prove that your meeting was indeed beneficial to the company and not simply an excuse to go have fun while being completely reliant on the fact that you can have some of your money back. The IRS will only recognize your transaction if the main purpose of the meeting is to talk business. You may also see training sheet examples & samples. No, you don’t have to discuss company issues the whole night, but it is integral that the objective of why you are seeing your guest is related to the company’s well-being. So if you are having a conversation with someone completely random at the bar and you happen to drop in facts about prospective investors, the IRS will not acknowledge that exchange as business related. You must also prove that your companions during that business entertainment are all truly affiliated to your company. 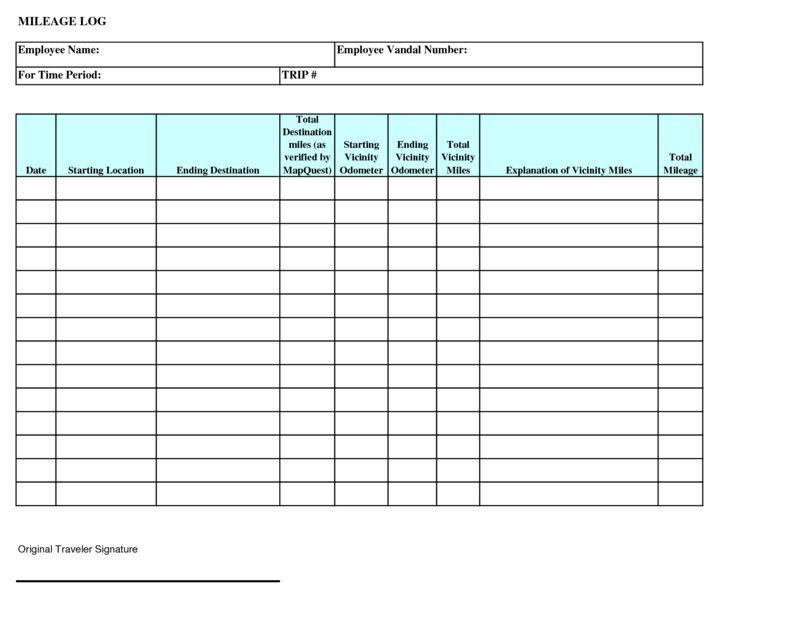 You may also like score sheet examples & samples. It is important to remember that the IRS will only refund 50% of your expenses for food and entertainment, but they will give you back 100% of what you have spent on traveling. If you are traveling from your workplace to the airport, this will also be accounted for in your mileage log. However, the distance you will travel on board the plane is no longer a part of the deal. 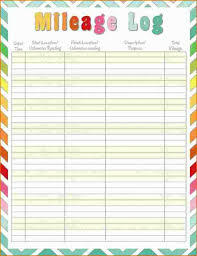 You may also see monthly sheet examples & samples. If you have more than one job, guess what, they also count! The distance you travel to and from gigs or part-time jobs can be counted on your mileage logs. 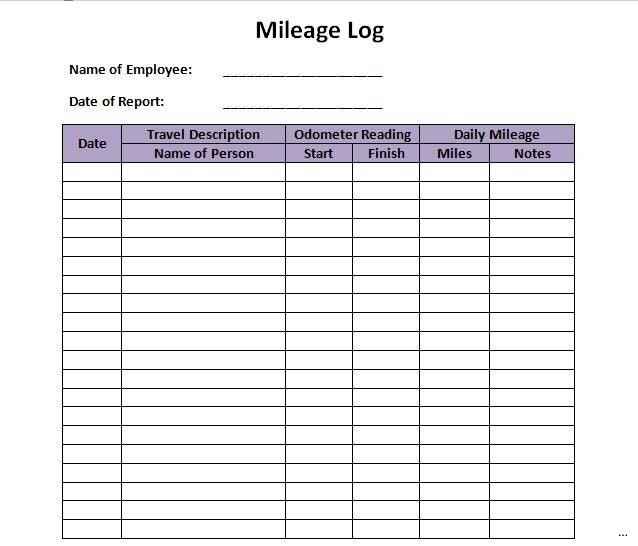 For instances that your company has more than one work site or if you need to travel to one to meet a client, that should also be counted on your mileage log. 6. Applying for a job. This is not an easy task. An addition to the general burden of having to look for a job is driving to places that may offer you a position. Fortunately, the miles you cover as you seek a greener pasture can be included in the mileage log you keep in your present occupation. However, if it is your first time in a specific field of business, it won’t count. You may also like medication sheet examples & samples. 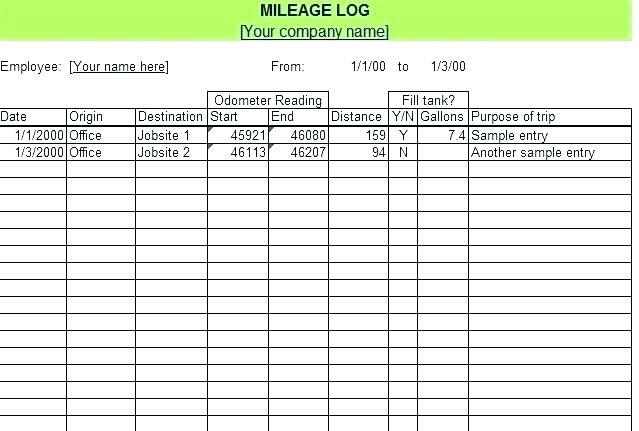 The important thing to remember about mileage logs is that if it doesn’t directly benefit the business in any way, it will not be counted. Which means that your travel from your home to the office, no matter how far your home is, will not count. (Except if you have a home office. In that case, you need to learn the conditions and terms under your situation.) Aside from that, the rest of your business-related extravaganzas are completely refundable. 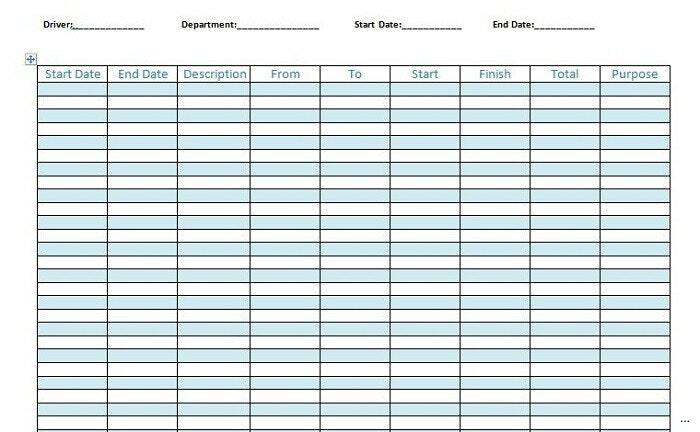 You may also check out task sheet examples & samples. It’s actually pretty simple. Keeping an accurate, well-updated mileage log can ensure that the IRS will give you the tax refund you deserve. Rigorously keeping track of the miles you have traveled is actually not a requirement. However, if you want an assurance that you will be paid back for every yard you have traversed, keep a well-documented record of it. The IRS will want to see all your records and if you can’t show them enough of it to prove your case, then say goodbye to the reimbursement you are supposed to receive. 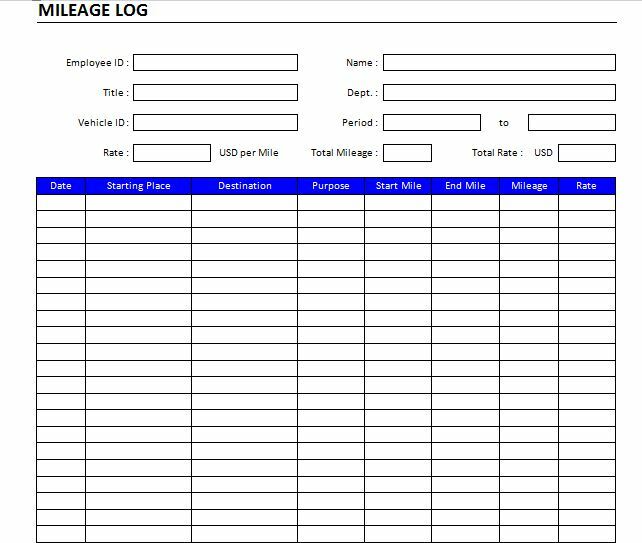 It is also important to note that your mileage logs be kept for as long as five years after the year they were created. You may also see free writing examples. This is for when the tax agency checks if you are paying your taxes right, you can have a written record to show them. 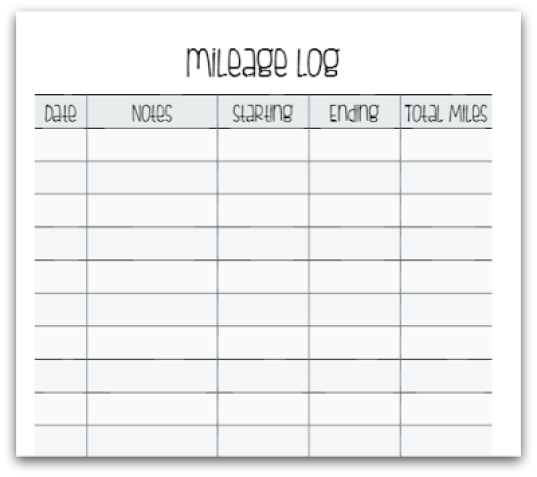 What Form Should Your Mileage Log Take? The IRS actually accepts a mileage log in any form. Back in the (not so) olden days, people would use paper to track down every mile. Which means that as they were parking their car, they would take out their pen and makeshift mileage form to indicate how far they have traveled. Just reading that sentence about how people used to do it must have exhausted you. You may also see activity sheet examples & samples. It’s true. That method is not very flawless. What if you were running late? How can you have the time to scribble a few figures on a piece of paper? Or what if you were particularly absentminded that day? Writing is often the last thing on our minds! Plus, the IRS wants us to keep our mileage logs for at least five years and paper is not very durable. You may also like bid sheet examples & samples. Thank the good heavens for computers. They are one of the most reliable creatures that have ever walked this Earth (as long as you remember to backup your computer). 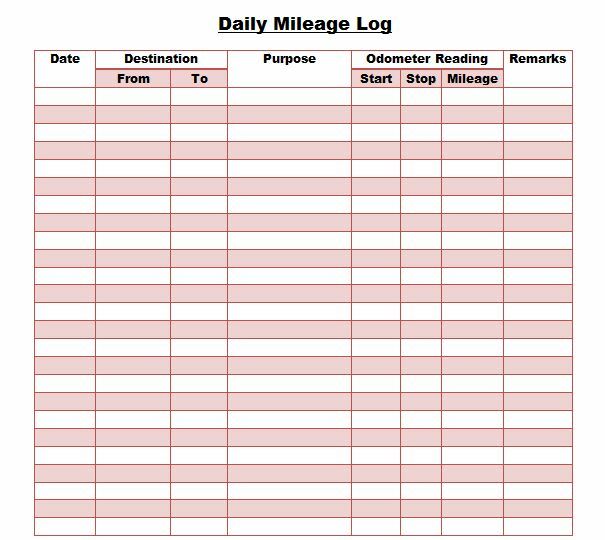 Of course, you can’t possibly bring a laptop everywhere you go just so you can keep track of your mileage log. But you have a mobile phone for a reason. You can jot down every mile on your phone and transfer it later on a spreadsheet. Yes, it is not the most convenient, but we want reliable and effective especially since this is a matter concerning money. You may also check out job sheet examples & samples. Once you have a pristine record of your everyday mileage, you can move on to identifying how much all that hassle will deliver to you. There are two ways of determining your expected amount. First, we have the standard mileage rate method and second, we have the actual expense method. You may also like script writing examples & samples. Pertaining to the former, the qualifications that will entitle you to use the method may vary from consumer to consumer. For example, is the car you have used for all business travels and transactions yours? Is it on lease? If so, for how long? 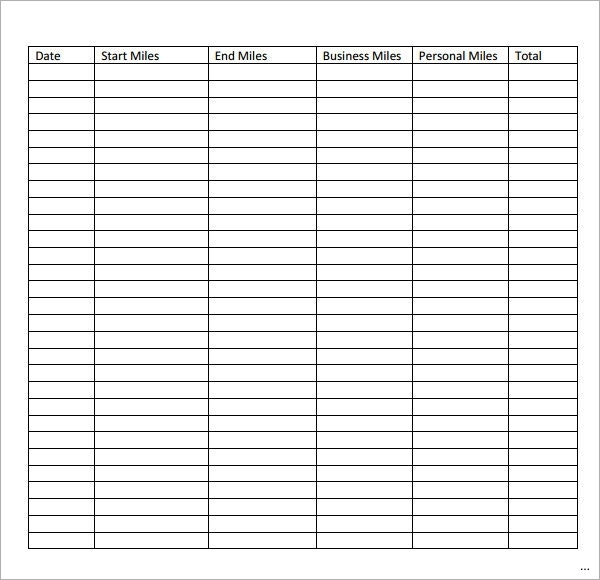 Once you have settled these questions, you can now move on to the easy part which is calculating your mileage rate. You may also check out writing examples in doc. 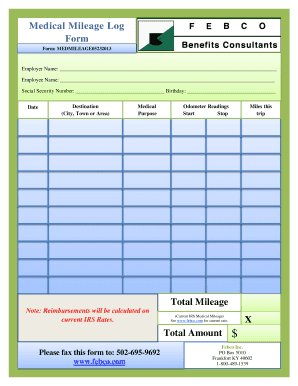 You will simply have to multiply the miles you have traveled by the mileage rate for the year applicable. The rate will be predetermined by the IRS and it may vary every year. For example, if you have traveled a total distance of 26,000 miles, multiply that to the standard rate which, for 2017, was 53.5 cents per mile, and you will get the amount that the IRS will deduct from your taxes. Yay to you! But a disadvantage of the standard mileage rate is that your annual car expenses will not be calculated along with the miles you have traveled, which means that this amount will be shouldered by you. You may also see essay writing examples. In this case, you must have an even more detailed record of all of your expenditures to be able to be granted refund by the IRS. However, switching between the standard method and the actual expense method is possible IF you have used the standard method during the first year of your car’s service to you and your company. But if you have begun by using the actual expense method, then you are going to have to use that method for the rest of the life of your car. 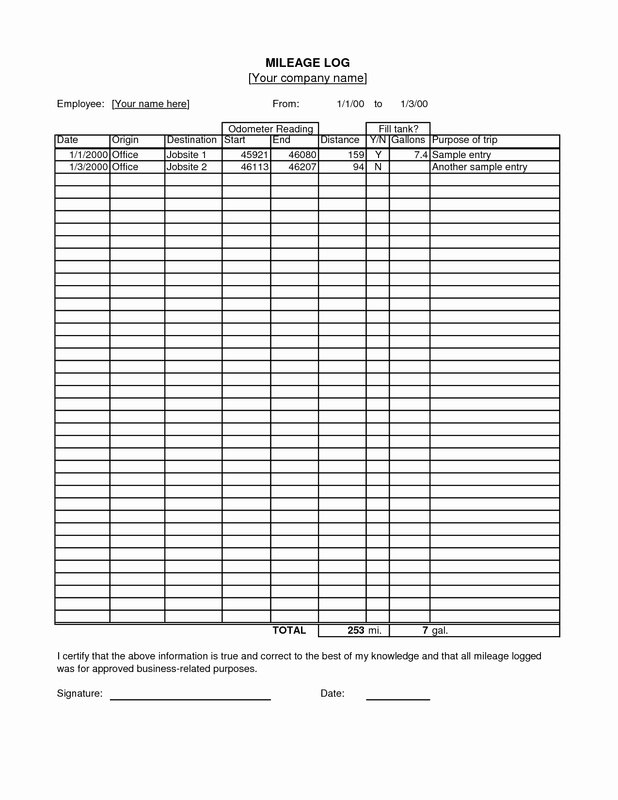 You may also see overtime sheet examples & samples. The standard mileage rate is an easier way to get a tax deduction by calculating the miles you have traveled with the car in question. If you begin your car’s first year of service with this method, you can seamlessly switch to other method depending on which one can guarantee you a bigger deduction amount. You may also see fact sheet examples & samples. Standard mileage rates are easier to keep track of since you are only required to document your travel details per mile and destination. Using this method can offer you a bigger deduction rate in comparison to the standard mileage rate, especially if you use a more expensive car. You may also like workout sheet examples & samples. A bigger deduction rate can still be offered to you by this method even if you don’t travel a lot during a year. In fact, the less you travel, the better your case will be in the hands of the actual expense method. Your car’s basic needs will be covered. It’s almost like having insurance for a child. 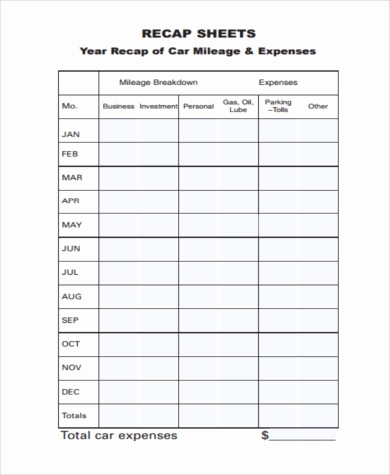 Despite these pros listed to help you decide which mileage log method is most effective for you, the only real way of knowing is by trying out both methods (which you can only do if you use the standard mileage rate during the first year so you can have the ability to switch to actual vehicle expense method) and studying the costs of your expenses and deductions. This way, you can get a firm hand on the method that works best for you. You may also check out student sheet examples & samples. The IRS have very specific rules about what qualifies for a business trip. So if you happen to have answered a phone call from an investor while you were traveling from your house to your office, this would not count as a business trip and, thus, will not be deductible. Also, the IRS will not consider your commute as deductible either, as aforementioned, because they view the location of someone’s home as their personal choice, which makes it a personal expenses. 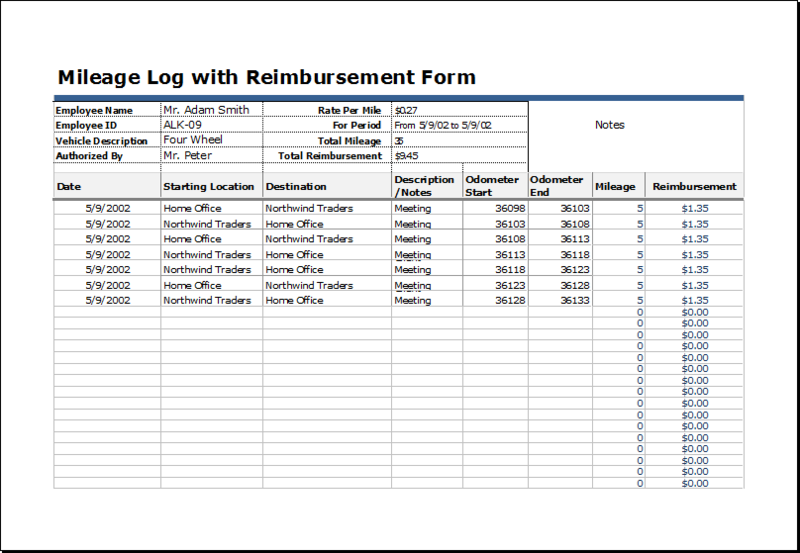 You may also see expense sheet examples. There is also a notable difference between a mileage reimbursement and a mileage deduction, the former being only a certain fee or rate that an employer or client pays you for the number of distance you have traveled. The latter would mean that these number of miles you have spent for business-related activities will be completely canceled from your annual tax return given that you can submit a formal document as proof. You may also like sheet examples. There is also no limit on the number of miles you can travel for your business or the number of miles you can have refunded through your mileage log. However, the IRS will notice a casus belli if you do any of the following: having around 30,000 miles in your mileage log, having asked for a refund for a hundred percent of your mileage log, or simply claiming a too-high number of miles. You can also subtract toll taxes and parking fees from your mileage log as long as you have the right document. (This part cannot be emphasized enough.) 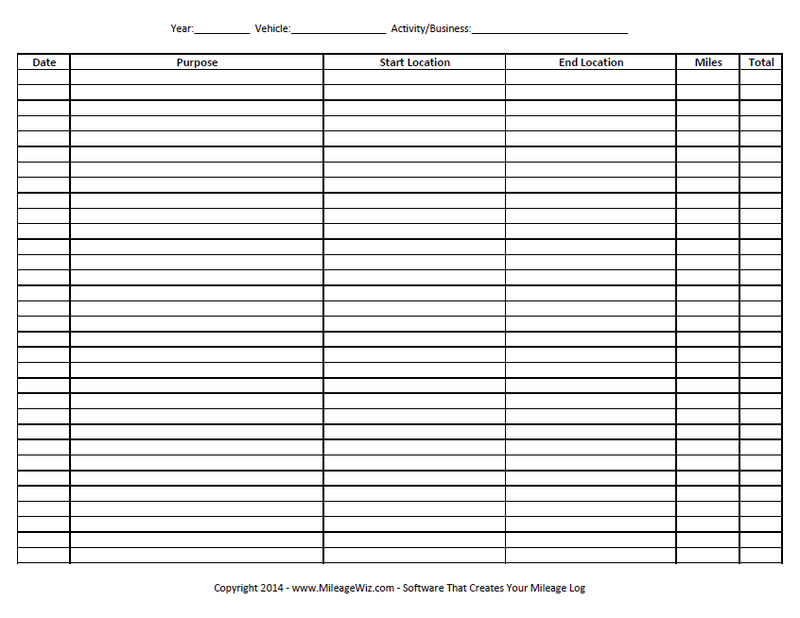 You may also check out printable attendance sheet examples. Even the personal property tax you have paid for your car can be refundable. What Are the Mileage Rates for 2018? 14 cents per mile traveled for charitable organizations. You may also see budget sheet examples. Your miles traveled can now be calculated using this new rate. However, if you have unreimbursed mileage from last year, they can no longer refunded this year. treatments that involve any of the external or internal parts of the human body. You may also like client information sheet examples & samples. Vitamins, which are considered beneficial to an individual’s overall health, cannot be considered refundable. Medical expenses can include those that you pay for yourself and those that you pay for a spouse, if you have been wed during the time of treatment and not after, and for a relative. You may also see fraction worksheets examples. Transportation expenses for visiting a dependent who is mentally ill. This will be accounted for by the IRS if the visits are considered helpful to the patient’s treatment as decided by the medical team. You may also like how to analyze a balance sheet. The cost of buying a special car that can accommodate a wheelchair. You may also check out attendance sheet examples. Travel. The miles you have traveled for a charity will also be recognized by the IRS. This can also include other expenses such as bus tickets, plane fares, and accommodation expenses if you spend a night away from your home for the benefit of a charitable organization. You may also see sheet examples in doc. Supplies. The amount you have spent on materials for a charity, as small as the fee for a postage stamp, will be recognized by the IRS as refundable if you have documents to serve as proof. Uniforms. Some charity works may require a uniform, be it something as small as a printed T-shirt. The cost of both purchase and maintenance of a uniform are acknowledged by the IRS. But this only counts for personalized uniforms specific to an organization, and not just the usual, generic business attire. 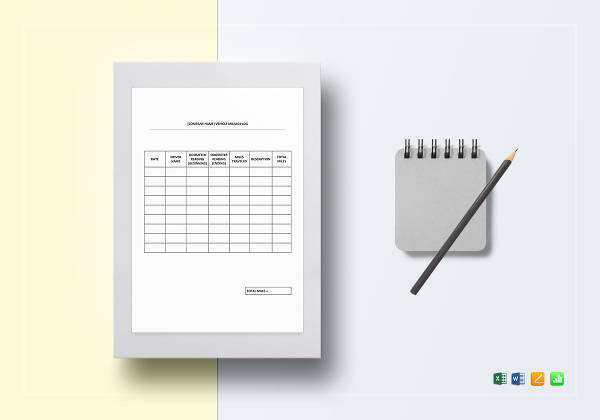 You may also like sign-up sheet examples & samples. Parties. Yes, parties you organize for a charitable cause will also be deducted even if the event is also considered leisure. As long as the purpose of the party is to garner an amount or support for the cause and you have documents to back it up. Mileage logs are not a requirement. In fact, the IRS will thank you for not asking a tax refund for every mile you travel. Plus, mileage logs are tedious. Who wants to keep a record of every mile traveled and every toll fee paid? But if you really think about it, the little coins you spend each day can add up to an unbelievable amount of money at the end of each year. So if you want to get a little of your money back, keep a mileage log. You may also see fax cover sheet examples & samples.